Hundreds of people have reported salmonella infections in the last 16 months, prompting a warning from both federal and provincial officials. 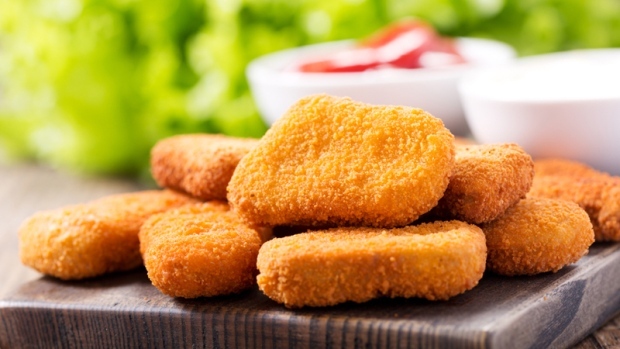 Medical officers warned many of the outbreaks have been tied to frozen breaded chicken products, such as nuggets, which were not properly cooked before being consumed. "Canadians need to be aware that even though these products may appear to be cooked, they are not," the Public Health Agency of Canada said in a statement. In addition to chicken nuggets, the warning applied to chicken strips, burgers, popcorn chicken and chicken fries. The statement warned the products must be cooked to an internal temperature of at least 74 C (165 F). Anyone handling them should wash their hands before and after, and should sanitize surfaces, dishes and utensils used to prepare them. "Despite these warnings and efforts to educate the public on safe food-handling practices, we continue to see hundreds of salmonella illnesses among Canadians of all ages because of consumption of or exposure to improperly cooked frozen raw breaded chicken products," the Public Health Canada statement said. The government added that it is working with food manufacturers and retailers to reduce salmonella for products packaged on April 1, 2019, and beyond. 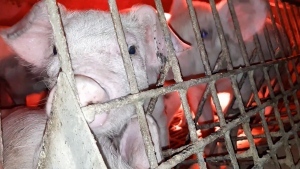 Symptoms of salmonella typically start between six and 72 hours after exposure to bacteria from an infected animal or contaminated product, the B.C. Centre for Disease Control says. Signs include fever, chills, diarrhea, cramps, headaches, nausea and vomiting. Infants, children, seniors and those with weakened immune systems are the most at risk. Most people will recover after four to seven days, but in some cases, hospitalization may be required. Some may experience no symptoms, but are still able to spread the infection to others.